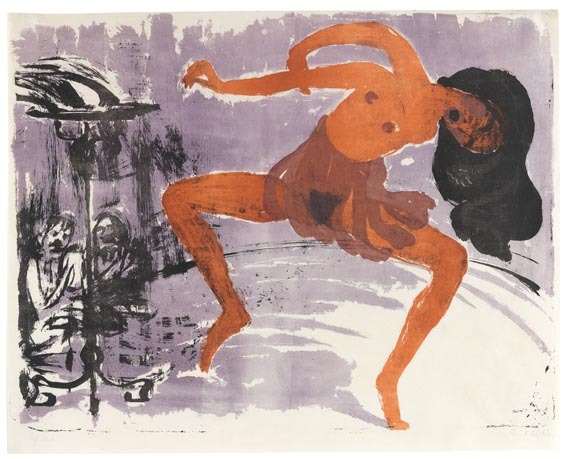 A dancer moves ecstatically, her fluttering skirt barely covering her body. 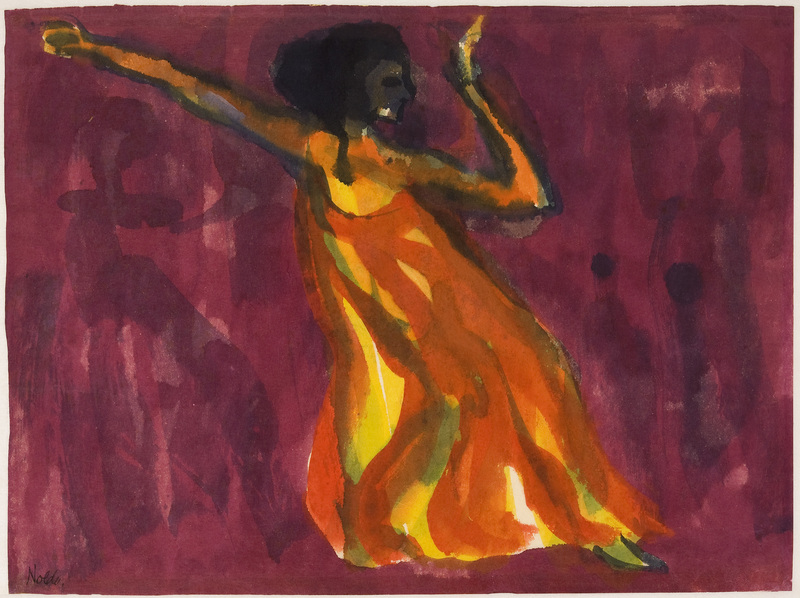 For Nolde her nakedness and unabashed sexuality tapped into primal instincts, signaling an authentic form of expression and a harmony with the natural world, removed from the decadence of urban dance halls. 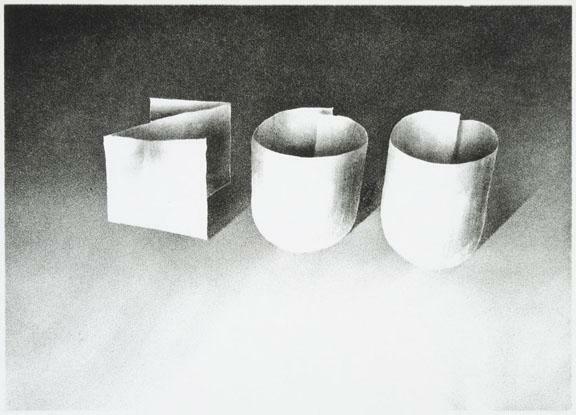 Yet two sketchily rendered figures to the left, behind the flaming torch, place the performance within the voyeuristic context of the German stage.